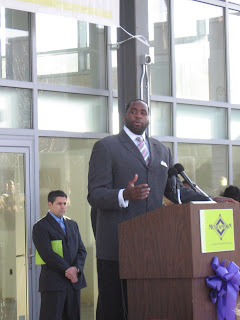 Mayor Kwame M. Kilpatrick was quoted in the Detroit News this morning as admonishing Detroiters to, "get off their porches", clean up their acts and get a job. He added that those who want good jobs have to pass a drug test, which many employers require. While the city is wrestling with a 15.1% jobless rate, there are many companies in Detroit, such as the casinos and the Detroit Medical Center, that are hiring. I read that this morning and, quite frankly, I thought about about pasting a giant copy of it on the homes of one or two residents near me.